In the past I’ve written articles on how to better fast and how to end a fast, but I have never talked about why we fast. I know from personal experience that I can be fasting and not know why. I can be focusing on all the wrong things instead of what fasting is truly accomplishing. I should start by saying: fasting earns us nothing. We don’t fast to get more favor from the Lord or to be “more pleasing” to Him. We can’t do anything that would add to what Jesus did on the cross. Our righteousness, goodness, and deservedness starts and ends at the cross. God doesn’t listen to our prayers more just because we’re fasting. We don’t get any access to God while fasting that we wouldn’t of had without it. We need to shake free from asceticism, the belief that we can reach a higher spiritual level by our works, and rest in the finished work of the cross. I should also say: fasting informs God of nothing. 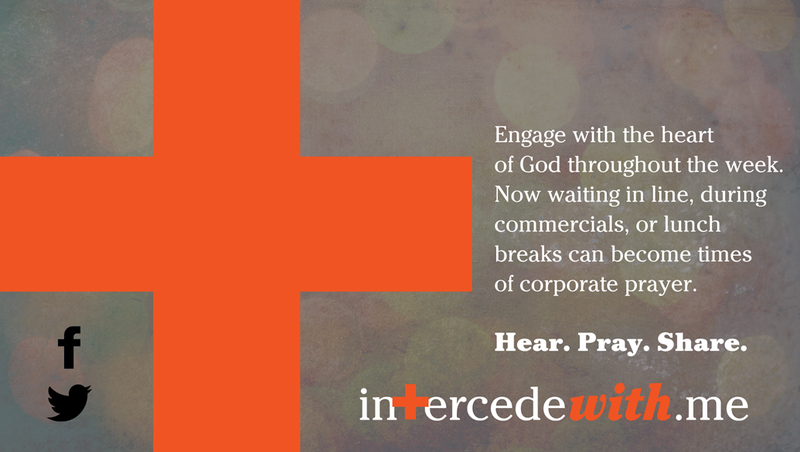 Often over-zealous Christians believe that fasting shows God the urgency of a situation they’re praying for. They believe if they toil for hours in prayer and fasting God will hear their request and answer. But those people often forget that He’s God. He knows everything. No one can tell Him something that He doesn’t already know. Unlike us, He realizes the importance (or lack thereof) of every situation. He knew about every circumstance before time began, and He knew His response to each and every prayer before any circumstance came to pass or before any prayer was prayed. So we then do we fast? We fast for us. When I say that we fast “for us”, I do not mean to say that we are the end to which we are fasting. Rather, we fast because we are constantly trying to substitute ourselves for God as the true end. We fast because our flesh hates God and wants nothing to do with Him. We fast because our desires are not for Him. We fast to create hunger for God by intentional weakness. The weaker our flesh and its desires become, the greater our spirit (and His Spirit’s influence) starts ruling our lives. In past fasts, I’ve looked for one thing that I could give up, whether media, food, etc. I’ve treated fasting like I was offering a great sacrifice to God. In hindsight, I was looking for the very least I could do. The point of fasting is about becoming as weak as you can be. Again, it’s intentional weakness. I tell people that if your flesh isn’t terribly uncomfortable, agonizingly so, you’re not fasting right. I’m not talking about food either. It’s amazing how I can go without food for a week but I can’t go without reading the news for a day; that to leave my iPhone off all day is such a struggle and that my flesh longs for it. My flesh agonizes without it. We often substitute what we are fasting with something else. I may fast lunch but I replace that time I’m eating with surfing the internet instead. I should be using the time I would normally eat lunch with to spend time with God. That’s how fasting is supposed to work. We strip (aka “fast”) all the meaningless things we can, making our flesh intentionally weak, so that we can draw near to God. Our lives are full of trivial things. We spend so much time on our phones, checking our social networks, watching the news, surfing the internet, and goofing off. While these things aren’t evil, they are crumbs that tend to feed our flesh and strengthen it to the point that we don’t desire God. There’s a feast of glory that God has prepared for us. Yet we rather eat the crumbs of our flesh and maybe a little food that comes from the table when we hear a sermon, but we never take a seat at the table. We never feast on God when we’re alone. There is a feast in the Bible. Let us fast so we may partake at the table. Our pastor and church leadership has asked our church to pray everyday at 3pm for three things for three minutes. I wanted to write a short blog post with some simple 15-30 second prayers that anyone can pray, using the verses assigned to each prayer focus. Father, we thank You that You promise to listen to Your people when they turn to You and seek You. We pray that You would help turn our hearts to Jesus — to love Him and serve Him. May we as a nation would humble ourselves before His throne and seek Him. In Jesus name, amen. Father, we pray for our nation. We repent and ask forgiveness. We have rejected You as our source and we have served other things that hold no life (Jeremiah 2:13). Forgive us and move us to turn from these things by showing us Your face. In Jesus name, amen. Father, we pray that You would demonstrate Your power; that in places where true repentance is taking place, stretch our Your hand and heal their land from the drought that our nation is currently encountering. Fulfill Your word and show Your power in our land we pray in Jesus name, amen. Click here for more prayers for America. Father, we pray for our governmental leaders. We pray that You would reveal Yourself to them in visions and dreams. In the middle of the night, we pray that You would speak to them like Samuel and draw their hearts to You. God, grant them repentance and a heart that follows You. You desire that all people be saved so pour out a spirit of wisdom and revelation upon them, so that they would know Jesus better (Ephesians 1:17). In Jesus name, amen. Father, we pray for our governmental leaders. We pray that you would encourage them. You desire that we pray, bless, and thank You for the leaders that You have placed over us. We pray against evil words spoken against the people you have ordained to lead this nation. We pray that You would receive glory by what they do in office. May we live peacefully and quietly in this election time. Help us guard our mouths. We desire to be well pleasing to You. Give us grace to temper our words with love, blessing, thanksgiving, and prayer. In Jesus name, amen. Click here for more thoughts and prayers for our governmental leaders. Father, we pray blessing over Israel. While many have hardened their heart against Your Son, Jesus, we pray that You would remove the scales from their eyes so that the Jewish people would accept Jesus as their God and Messiah. Remove every hinderance from Your people, whether it be theologies, enemies, laws, etc. May nothing overshadow the light of Jesus in Israel. In His name we pray, amen. Father, we thank You for the blessings we have received from Israel, particularly salvation from Jesus. We pray that You would protect them and be jealous over them. Let none who plot against them succeed. Father, You said in Hosea 2 that You would draw Israel to yourself and speak tenderly to her. In these times of conflict and war, we pray that You would comfort Israel. Speak tenderly to her about her hopeful future and about Jesus. In His name we pray, amen. For some thoughts on how to view and pray for Israel, click here. It’s election season again. During these times, it can be easy for us as Christians to get caught up in the verbal abuse of candidates instead of praying and blessing our governmental leaders like the Bible calls us to. Here are a few helpful tips on how to better pray for our president. Being “poor in spirit” is simply to realize where you would be without the mercy and grace of God. It is a realization that you cannot save yourself and you are forever doomed without God intervening into your life. The next step is to mourn that you are living for far less than what God wants for your life (Matthew 5:4). After that happens, when you realize who you are apart from God and you mourn consistently for all the things you do apart from God…true meekness and humility set in (Matthew 5:5). Something comes over you that you realize that there is no judgment or consequence you don’t deserve. That causes a hungering and thirsting for God to start in your life (note: the true realization of weakness always draws us closer to the Sufficient One) and you start desiring God above all else (Matthew 5:6, 6:33) and then because of the hunger and because of the true humility…you are compassionate towards people. You feel for them. You desire mercy for those in the struggle and you pray and long for mercy for those who don’t want to struggle anymore. We stop judging and start giving mercy to others (deserving or not) in view of our need for mercy. I find that many of our prayers and comments that we use towards President Obama come from a place of pride. Somehow, we forget our sinful nature, our helpless state apart from Christ, and start judging the president for his. We become like the Pharisee in the parable of the Pharisee and the tax collector. God calls us to pray for our president out of humility in view of our (and his) need for mercy. I am a huge fan of praying the Bible. When we pray the Word (in correct context), we pray the perfect will of God. The problem comes when we start taking verses out of context and twisting their meaning. This, on the surface, looks like a great Biblical prayer to pray for a president you don’t like. There are a few issues with this though. First, this verse does nothing to bless or help our president. It’s the equivalent of praying for someone to get fired. It’s not mercy, it’s judgment. Secondly, and most importantly, it is a verse taken completely (and wrongly) out of context. Let’s look at what that portion of Scripture is talking about. This will not be a popular statement, but if you quote verse 8 towards Obama, you are wishing (consciously or not) this entire portion of Scripture on him. I think we all can agree that this portion of Scripture should never be praying towards another human being before the mark of the beast. Yet, because we don’t strive to be contextual or positive in our prayers, we say and pray things that are totally against God’s heart for the president. The Bible is not meant to be a weapon used by our anger and self-righteousness. It is a guide on how to effectively touch God’s heart. Let’s remember mercy in all our prayers and use verses that correctly, and contextually, help give words to that end. I fear that many of us tend to focus on a particular issue than about the person who is behind the issue. The reason why this is a problem is because God always cares about the person, but may or may not care about the issue. God cares more about the soul of our president than He does for universal healthcare. We have made lesser things the major things we focus on. I also think that most of our prayers are about wisdom more than salvation, mercy or revelation. Now I think praying for our president to have wisdom is a great prayer, but it is a short-term prayer. A person can only be president for a decade at the absolute longest. While his position will require much wisdom, those four or eight (or possibly ten) years will be quickly spent. What will happen to him then? What will happen after people stop praying for wisdom for him? What about his soul? Much better is it to pray for him to fall in love with Jesus and fear Him than it is to pray for wisdom alone. So pray for wisdom. Just don’t forget about the eternal. To help show how these three points work together, here are a few short 15-second prayers for President Obama. These prayers are taken from Ephesians 1:17-18, 2 Peter 3:9, Timothy 2:1-4 and others. Father, I thank You for President Obama. I pray that You would give Him a spirit of wisdom and revelation…so that he would know Jesus better. Open the eyes of his heart. Enlighten them to the glory of the cross of Jesus. Make Yourself known to him. Visit him, speak to Him, reveal Yourself to him. In Jesus’ name, amen. Father, I thank you that you are as patient towards President Obama as you are to me. You don’t desire any to perish but that all would come to repentance. So I ask that You would draw him closer to You. Convict his heart with Your truth and give him the grace to respond. Continue pouring out your mercy and patience on him. In Jesus’ name, amen. Father, grant President Obama peace, both temporally by calming stress and frustration in his life and eternally by leading him to find the peace that Your Son purchased on the cross. Protect him from wicked men. Put godly men of influence (Daniels, Josephs, etc.) in his life and on his staff. Bless his family. Keep them healthy and safe. Use the Obamas to glorify Your Name in the earth. In Jesus’ name, amen.